Tourism plays a very important role, when it comes to a country’s economy. Thailand, for example, has lots to offer, and this is why people all over the world choose to visit it. Therefore, tourism keeps Thailand’s economy growing, and this is a wonderful thing that improves the quality of people’s lives. Here is more information about this subject, and why we actually came to this conclusion. In the last five years, Thailand’s economy has had very solid exports and tourism as well, and these two aspects influenced the country in a very positive way. Therefore, the economy improved quite a lot, and it still does. Lots of countries do not have such a good economy, even though they have beautiful attractions as well, but what they do not have a good marketing strategy. With so many beautiful places in this country, there is no wonder that increasingly more people choose it as their holiday destination. Furthermore, you should not forget that this is a very safe place to go as well, which again matters quite a lot for many individuals. Even though Thailand had to deal with bomb attacks, shootings in the center of Bankok and several protests as well, it still is one of the most visited countries. The passing away of the monarch King Bhumibol Adulyadej has also been a very difficult moment for Thailand. However, it seems that Thailand is on a continuous development, from the economical point of view. 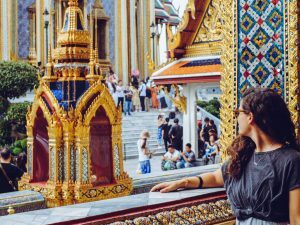 Researches have shown that last year, the number of tourists that Thai welcomed was over 32 million, which is actually twice as much as 5 years ago. The government calculates that this year Thai should generate revenues worth around $50 billion, and even more than this next year, which is quite promising. What helps tourism to grow is not only the fact that Thai has plenty of spectacular places and a wonderful atmosphere, but the fact that people are very welcoming and warm as well, not to talk about the food which is delicious and which is one of the most important reasons why many people come to this place. Furthermore, the accommodation and the transportation here are reasonably priced. Even the most luxurious hotels offer rooms at a very reasonable price. Nowadays, there are lots of flights to Thai from every corner of the planet, which is again another big advantage. The economy started to grow many years ago, and each year had a significant improvement. 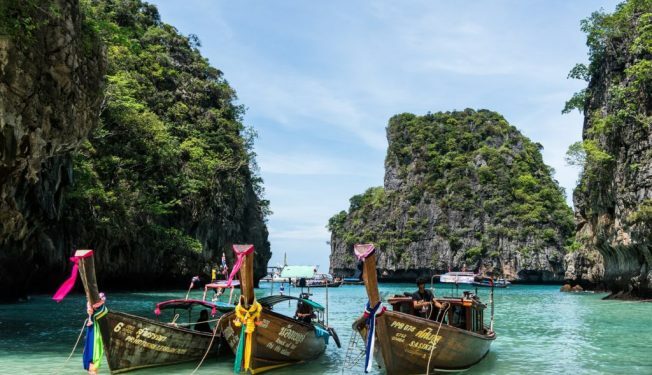 With patience, a good marketing strategy, and lots of attractions, Thai has managed to become today one of the most visited countries all over the world. Specialists say that tourism is expected to grow even more next years, and this is certainly a plus for this country. If all the countries could have Thai’s economy, everything would be different, and people worldwide could have a decent level of living. Even though that things are great at the moment, challenges of all types still remain.